Idaho House Bill 217 is getting closer to becoming law – but a series of amendments changed its form, according to the Idaho Press. The bill passed the Senate and its new form must now be approved by the House – before heading to Governor Brad Little’s desk. An emergency clause that would make it take effect immediately is out – instead, it would go into effect with other laws on July 1, 2019. The bill also changes the threshold for requiring a public vote to 51% of overall funding. Urban renewal funds and other non-Federal tax funds all count toward the 51% threshold. Lastly, parking garages and other infrastructure like streetscapes are exempt in the legislation, as are projects under $1 million. But, it appears, the legislation would still require Boise’s proposed library and stadium projects to stand for a public vote – with at least 60% of voters saying yes. If the bill becomes law, it sets off a series of choices, with time of the essence. A rendering of the Boise Public Library expansion project. 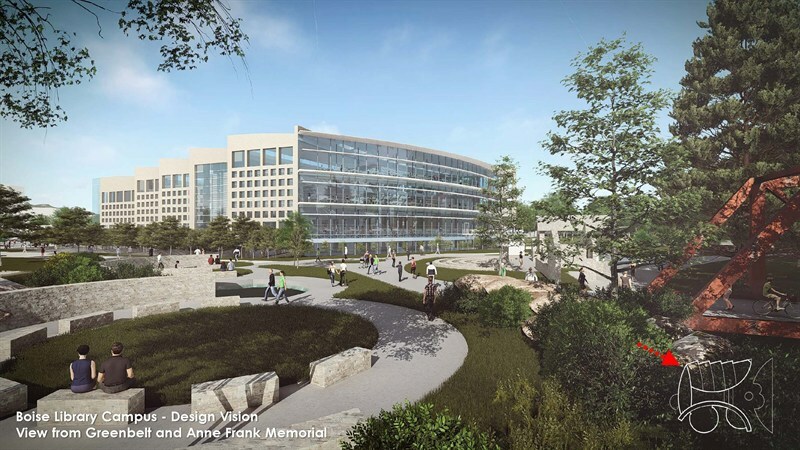 If leaders want to move forward on the library project as currently constituted, it appears to meet the thresholds that would require a public vote by HB 217. The city says the project would be paid for with $15 million from urban renewal funds, $15 million from city coffers and $32 million to $37 million from lease financing. That would mean about 78% of the project would use public dollars – well above the 51% threshold set forth in the law. With the emergency clause removed, city leaders could push to get the project up and going before June 30th when the law goes into effect. This would help them avoid a public vote on the project. The library project is significantly down the track and deep into design, which makes this a theoretical possibility. 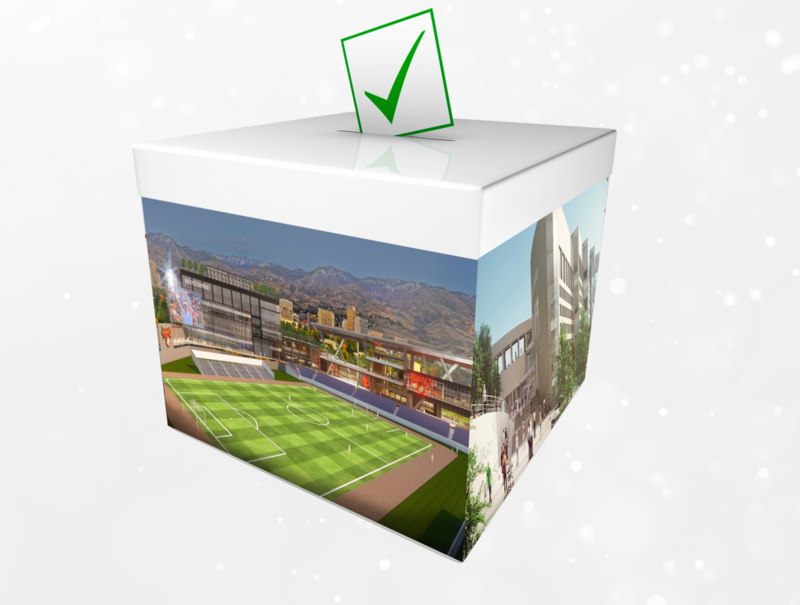 (It’s important to note this process runs entirely separately from a current citizen initiative which could still put the library and/or stadium to a vote). They could also, in theory, work to find a new way to fund the project to reduce the amount of public dollars and urban renewal funds. This project is harder to gauge through the prism of the new legislation, because none of the agencies or private entities involved have detailed a funding proposal. The City of Boise previously said it looked to spend $3 million in tax dollars on the project, and we know they are in negations over the use of tax increment financing. A representative for Boise Hawks owner Agon Sports also mentioned in an interview on KTIK this month that bonding authority could be used. If less than 51% of the dollars needed for the project come from public funds, a vote is a moot point. But if it’s more than the halfway mark – leaders will face the same choice they could in the library: rush to get it up and going by June 30th, or put it to a public vote. City officials have repeatedly said they plan extensive public scrutiny of the final stadium plan. There are currently 95 days until June 30th. The city and Greenstone would have to (deep breath…) acquire the land, unveil the plan, work out a trade or sale for city-owned property, take public feedback, incorporate that feedback, finalize the plan, put it to city council and potential CCDC votes, get the bonds funded and start the project in just three months. It’s a tall order. Much taller than the library. City council members indicated a willingness to put the stadium project to a vote in February, but were stymied over Idaho code and when such advisory votes could be held. Council members were emphatic that they felt a library should not go to a vote. The move would have untied the fate of the library and stadium projects to some degree. The projects are not directly related, of course, but share some similarities in the public mind: they both would use tax dollars and both are likely to use urban renewal funds. Here’s my reading of the tea leaves: An upgrade to the Boise Public Library has strong public support, though a substantial faction is concerned about cost. A new stadium also seems to be generally palatable, but concerns over the site and use of tax dollars and urban renewal funds muddy the waters. It’s becoming increasingly likely the projects will go before voters. The legislation would require that 60% super-majority – which is a higher threshold than the 50% plus one required in a citizen initiative. Corrects: Bill would require a 60% supermajority, not 55% as previously noted.